For the continuous peace, safety and security of our students, we seek your cooperation to observe the following. a. Running is strictly not allowed within the premise. b. Parents are NOT allowed on the Mezzanine and 1st floor from 8.50 am to 10.30 am during Dhamma School session. c. Parents who need to be around on these floors must seek permission from the class teacher or the Principal. d. Please note that the official Dhamma School operation hours is from 8.45 am to 10.30 am for Pre-School to DS7 and from 8.45 am to 10.45 am for Teen Quest. e. Parents are to meet their child/children on the Lower Ground (LG) Floor upon Dhamma School Session ends and not later than 11.15 am. f. For your information, the Library on LG Floor is open until 12 noon and students are encouraged to stay in the Library while waiting for their parents. h. Students are adviced not to wait outside the premise and compound. i. Please inform your child/children NOT to walk out of UBV premise without your prior permission. j. Should you or your child require assistance, please contact the respective class teacher or call Sis Poh Liew at 016-201 9268 or the Librarian in the Library. In honour of Ajahn Chah, the Bandar Utama Buddhist Society organised the Ajahn Chah Remembrance Day 2018, on Dec 15 and 16 at SJK (C) Puay Chai (2), Bandar Utama, Petaling Jaya, Selangor. The event is supported by the Theravada Buddhist Council of Malaysia and the Young Buddhist Association of Malaysia. BUBS members and friends recently went on a kathina trip to Wat Phra Chao Ton Luang, a forest monastery in Chiang Mai. Some of the members were kathina sponsors of the event and all took part in the kathina robe offering and rice pindapata in a quiet and serene setting of a forest. The group also visited Wat Aranyawiwake, participated in the kathina ceremony and paid respect to the late Luang Por Plien. BUBS members and Dhamma School children visited Dhamma Earth Club in conjunction with the Kathina (Robe offering) Day on 6 November 2018. It was a meaningful trip and allowed all to witness and participate in the significance of the robe offering ceremony, the opportunity to learn more about the lifestyle of the forest monks, perform Dana and listen to Dhamma teachings. We seek parents of Dhamma School students to volunteer themselves for the respective portfolios. Ajahn Achalo was born in Brisbane Australia in 1972. He developed a keen interest in meditation at the age of twenty and a year later left for Thailand to study Buddhism more intently. After a two year period practising in various centres and monasteries, in 1996 Ajahn Achalo ordained as a Theravada Bhikkhu (monk) under Ajahn Liem at Wat Nong Pah Pong, the monastery founded by venerable Ajahn Chah. 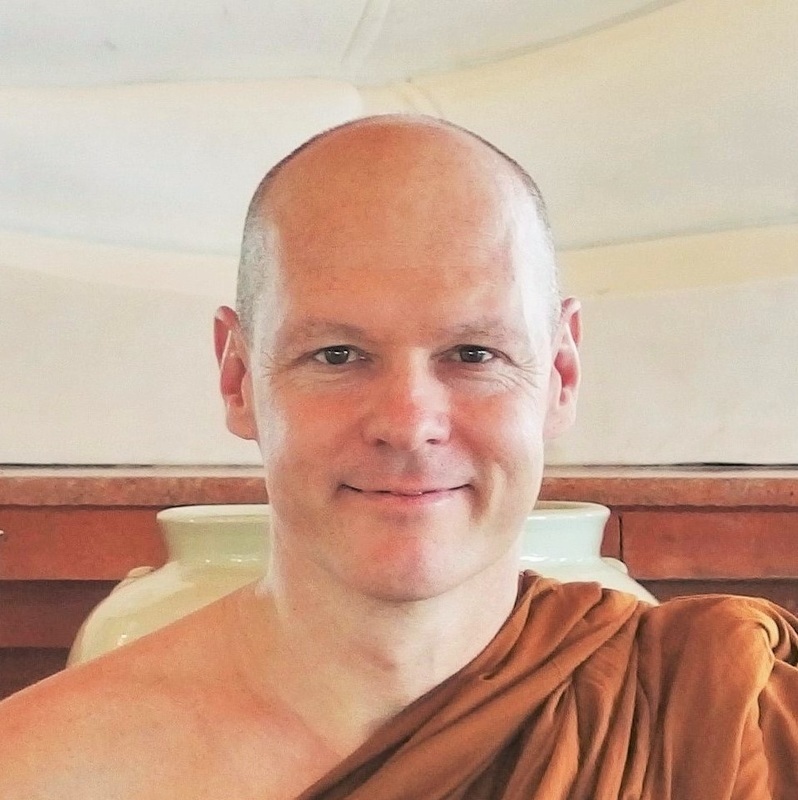 Although most of his training has taken place in Thailand, Ajahn Achalo has also lived in several international Forest Monasteries in the Ajahn Chah lineage. Ajahn Achalo is deeply grateful for his many opportunities to study with well-practiced monks as well as for having been able to train in several traditional contexts, including meditation monasteries, remote forests, and periods on pilgrimage. During his years of training, he has received personal guidance from many remarkable teachers, among them, Ajahn Sumedho, Ajahn Pasanno, Ajahn Jayasaro and Ajahn Kalyano. For most of his Bhikkhu life, he has considered Tan Ajahn Anan, abbot of Wat Marp Jan, to be his principal mentor. In addition, he has found the Dalai Lama's instructions and example to be of tremendous value.